iOS 7: Would you like it "flatter?" 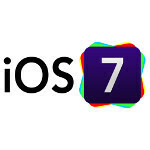 So, iOS 7 is right around the corner, or at least, its announcement is right around the corner, and that's very exciting, because iOS 7 is said to introduce a new major overhaul of the user interface. The predominant belief is that the latest version of Apple's mobile operating system is going to sport a "flatter" (as in "lacking a depth effect") UI that's going to take iOS design out of 2007 and bring it to 2013. However, retro or not, one cannot deny that iOS has what's probably the most polished aesthetics out there in terms of UI, so it'll be rather interesting to see how Cupertino's going to improve that. Will the new flat look of the system make it that much more elegant and pleasant to work with, or is there some kind of danger of Apple screwing it up? At the end of the day, everyone is having their own preferences, so let's see how you guys would prefer iOS: with a new flat design or with a similar, deep and color-rich look. Cast your votes in the poll below to us know how you'd like your iOS 7 experience, and don't forget to check back with us at 10AM Pacific Time as we're going to cover the introduction of iOS 7! Yes, the simplistic design will look better. No, it doesn't need to go "flat" in order to look good. Yes, the simplistic design will look better. No, it doesn't need to go "flat" in order to look good. Then you shouldn't be here. They should. If a person wants to thumb you down make them say why. PA is trying to clean up this android "fanboy" not android user infested site, that makes it horrible to experience sometime. I like what they're doing, and hope they ban more people for their blatant disrespect of others. Good job PA. The bad-mouthing can be a bit interesting at times, though. But, yeah, more often than not, it's annoying. So I guess, we're better off without the thumb-down. On the topic, I voted for the Yes option. I just feel that a change wouldn't be a bad thing at this point in time. iOS has had it's look for such a long time, it's becoming a giant bullseye for haters. I'm glad they got rid of the thumb down. I think there are posters who post solely to try to get as many thumb downs as possible. Yes you do. Your effort to post says so. This is why I am asking to PA for bringing back thumbs down option. Flatter. Rounder. Change something! It's been the same since 2007. So you are saying that WP is boring :). IOS really needs a change. I am not a IOS user but it is always good with a competition. If this IOS 7 will be awesome, then WP and android have to do something even more awesome. And that is good for us. Flatter? Not so much if it's B(.)(.)BS. iOS? I dont care much. Not interested in plain vanilla flavour UI. Better save it for the disaster. Whatever it introduces it should be not just be equal but better than android to stay in the game or else we have a great example of nokia's rise n fall in front of us to learn from their mistakes..
Option E: Just give me the damn Moto X.
I disagree the WP tiled UI looks great and Is an example of how flat can look good. If there is a reason windows phone is failing it's due to the lack of apps and to some degree the lack of manufacture skins. I think the WP UI looks great, too. The functionality is a bit limited when compared to Android, though. I do feel that manufacturer skins is actually hurting the Android ecosystem rather than making it more exciting. Launchers are ok, but they tweak the system too much that updates take a lot longer. The saving grace of the manufacturer skins is the fact that they usually come with added functionality compared to stock. I agree, this metro on phones is really bad, it might suit some people but it is even more closed OS than IOS and can´t even touch android. WP is not actually that bad, but it is really a half-baked product. Oh yeah, whatcha wanna bet that the next iPhone's gonna have fu..ckin' NFC? That'll be the "new way to share media." the UI is okay.... i just want more functionality, more like of a computer, more like of Android! And get away from iTunes and please... MASS STORAGE MODE! I really have no idea what they really mean by flatter. I'll wait and see what they announce to see whether or not I like it more than the old UI look. They need to make the design different. My mom's iPhone 5 is a beast, but the UI needs some revamping. What about letting the user decide the look of the UI, is it so difficult for Apple to offer some sort of customizability beyond changing the wallpaper?